Tastes as good as it looks! They're so simple to make too. 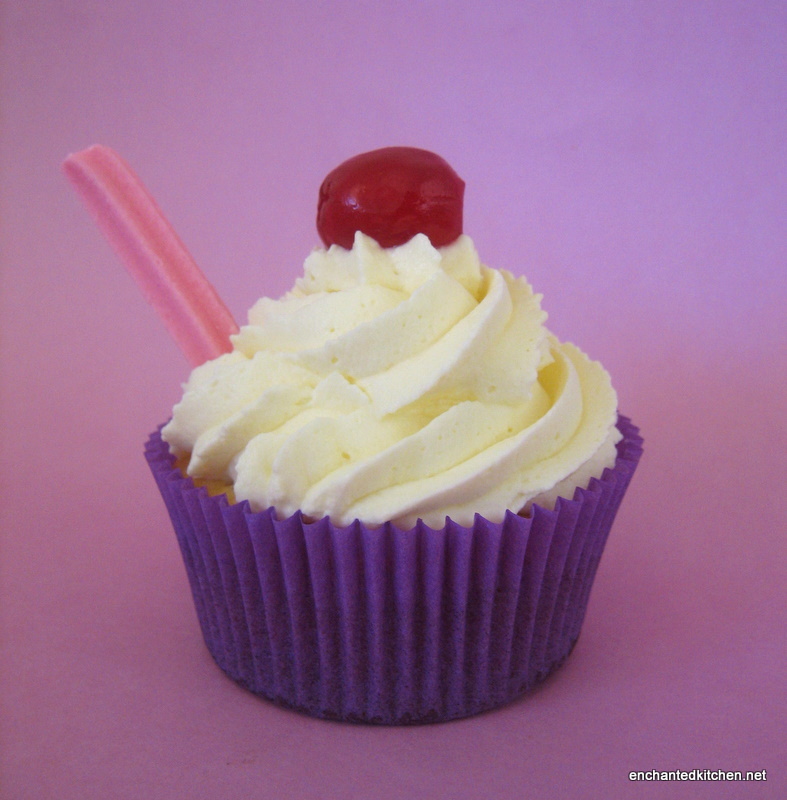 The cupcake consists of a vanilla cupcake, ice-cream, whipped cream, half a musk stick and a glace cherry. 1. Using a knife cut a round hole as big as you like (mine weren't that deep), in the top of the cake. 3. Now fill your hole with slighly softened ice-cream and spread it around and flatten it at the top. 4. Swirl on your whipped cream. Start on the outside of the cupcake and pipe around the edge then start piping in the middle to fill it in. Now pipe a little swirl on top of the middle. 5. Decorate with half a musk stick stuck in at an angle into the ice-cream and top with a cherry. Serve immediately or the ice-cream will melt. Since these cupcakes were a success with my family, i've got my heart set on making Banana Split ones! 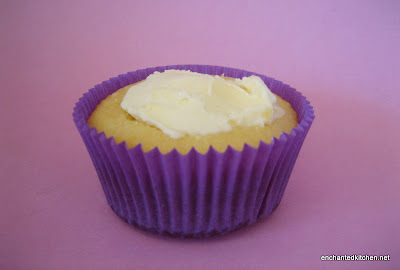 Use a different coloured ice-cream to the topping (cream) so you can see the ice-cream and it'll be a fun surprise when the cupcake gets bitten into. 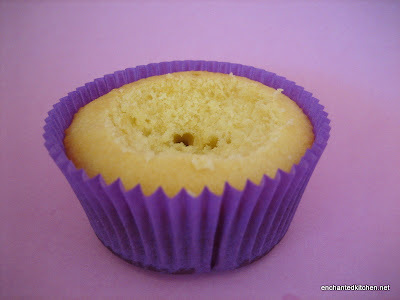 I found if the ice-cream wasn't softened a bit you couldn't really spread it and the cupcake came away from the liner. Because I made only a few cupcakes we ate them straight away but if you make a lot you could pop the cupcakes filled with ice-cream into the freezer for a few mintues to harden up before pipping and decorating. Pour a little cold chocolate sauce over the cream before adding the decorations - yum. Simple but yet perfect cupcake. Kids and Parents out there can follow this instructions to bond with their kids.